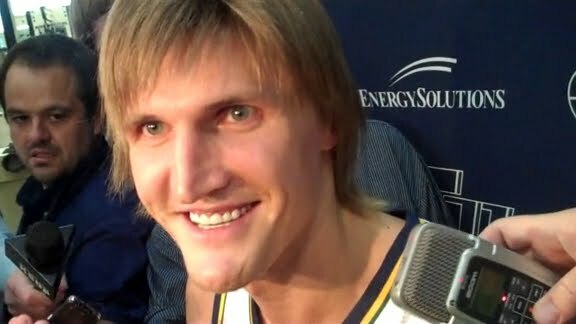 I was so happy to see Andrei Kirilenko at Media Day. Even as I kept thinking to myself, “Dude, your hair is terrible,” happiness just kept washing over me in waves. AK’s hair has gone from bad to worse. 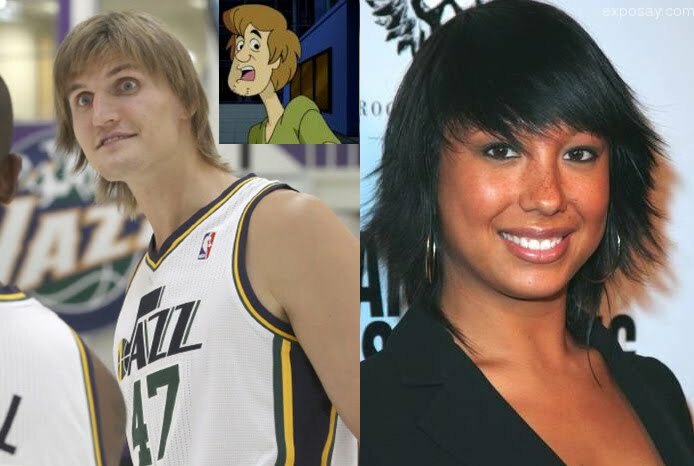 He is now sporting Cheryl from Dancing with the Stars’ hair (I know there’s something wrong with the punctuation there), a style which I’ve seen referred to as “mophead.” And he looks like Shaggy. 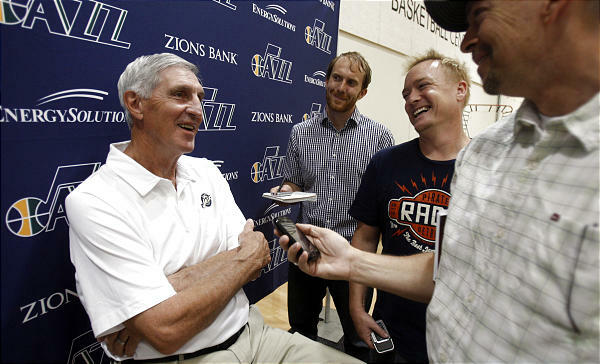 –He was elated to go back to the Hall of Fame (for Karl) and not have to make a speech or do anything else. 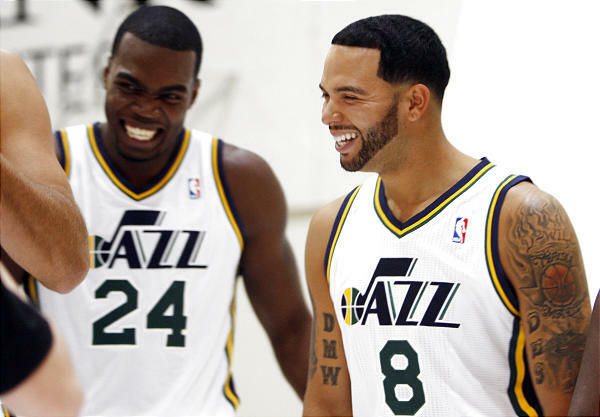 *Did that guy seriously ask if Deron likes the idea of AK being traded? Am I hearing him wrong? *In case anyone needs clarification, they were talking about golf. 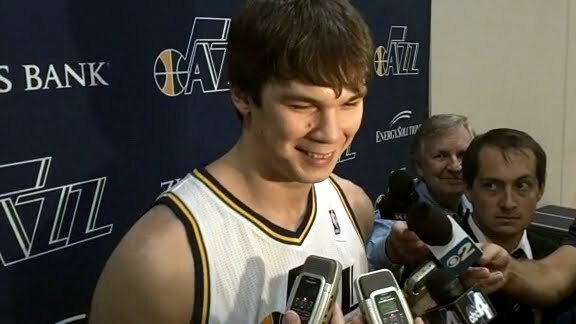 –AK left his family in France and returned to Russia by himself a month ago to train with his coach.